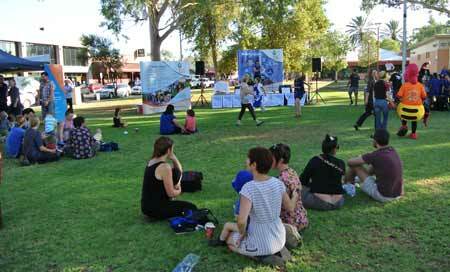 Sir – A new water use Guide, which lists the top six actions to help Alice Springs residents save water was launched today on World Water Day at a free community breakfast (pictured) on the Town Council lawns. The guide is a culmination of local knowledge, the results of almost 1000 professional Water Efficiency Consultations by Alice Water Smart and input and feedback from the Alice Springs community. A volunteer Citizens’ Advisory Panel helped pull it all together. Implementing the Actions is completely voluntary for residents and businesses, but if they do they will be rewarded at the hip pocket. If we all do just a couple of Actions in the Guide we will be playing our part to make Alice water smart for the long term and helping to make the town’s non-renewable water supply last longer.